Just five miles north of Boston lies Revere Beach, the first U.S. public beach, which faces Massachusetts Bay. The layout of the beach is perfect for sunbathing, which is why many flock to this destination during the summer months. 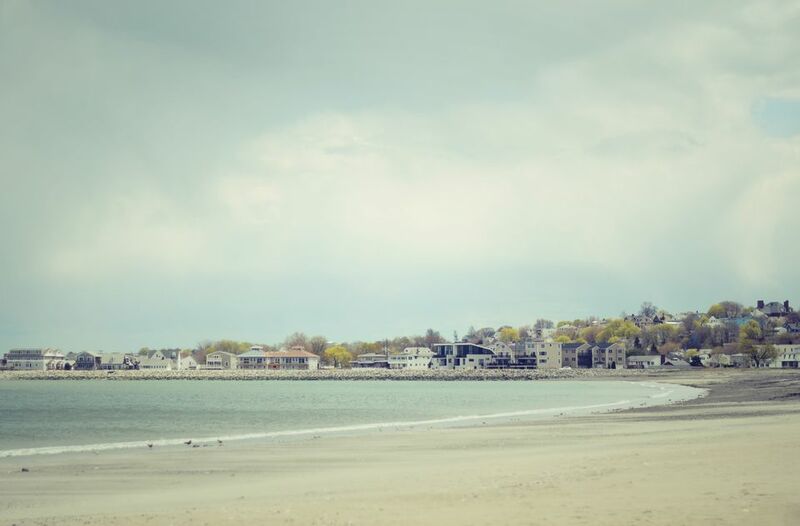 Nahant and Winthrop beaches can be seen on each side, with lighthouses and other panoramic views off in the distance. The Revere Beach Reservation dates back to 1895, when Massachusetts took over the land, which became part of the Metropolitan Park Commission one year later in 1896. It was then a landscape designer named Charles Eliot turned this seacoast area into a beach that could be enjoyed by the public. At the time, the Boston, Revere Beach and Lynn Railroad was the main reason that this area was a focus for development. The train went along Railroad Avenue, which has since been renamed to Revere Beach Boulevard, and today’s MBTA does not run along the same path. Over time, Revere Beach became a vacation destination people traveled to, oftentimes renting cottages or staying at hotels on nearby Beachmont Hill. Revere Beach became known as the Coney Island of the East, with not only the beach, but also rides, movie theaters and other attractions. It was also home to many popular restaurants, including the first Kelly’s Roast Beef. In the 1900s, Revere Beach was also known for its dance pavilions, including the Ocean Pier Ballroom and Wonderland. Roller coasters and other rides, such as carousels, also brought visitors to the beach. Wonderland Park was eventually built as home to various amusements for six years, and this area is now the Wonderland Dog Track. Today’s Revere Beach looks much different than then, as there are no amusement parks, but rather a focus on the beautiful beach for locals and tourists to enjoy. It should come as no surprise that the beach thing to do at Revere Beach is to grab a towel and sunscreen and head to the beach! Lifeguards are on duty from late June through early September each year. Keep in mind that dogs are not allowed between April and mid-September. Another popular activity for visitors is simply walking along Revere Boulevard, which is parallel to the beach. You’ll find restaurants along this walk and there will be plenty of others walking and running along the walkway as well. Revere Beach is also home to one of the most iconic Boston-area restaurants, Kelly’s Roast Beef, which was founded in 1951. Here you can get a delicious roast beef sandwich, a North Shore staple, or everything from a lobster roll to grilled cheese. Kelly’s Roast Beef is located on 410 Revere Beach Boulevard and there are also three other locations, including one on Route 1 South in Saugus. The biggest annual event is the Revere Beach International Sand Sculpting Festival, where over 1 million people flock from all over New England to take in the sand sculptures on display. Aside from the artwork, there are also many food trucks and other vendors joining in on the fun, making this a family affair. If you’re driving to Revere Beach, the easiest directions are to head toward 600 Ocean Avenue in Revere, MA for the southern section of the beach or 400 Revere Beach Boulevard for the northern section. When driving from points north of the city, take I-93 S toward Boston, then Exit 24B-A to merge onto MA-1A. From there you’ll turn left onto MA-16 and right onto Beach Street. If you’re coming from southern locations, take I-93 N toward Boston, merge onto I-90 E and continue on MA-1A. You’ll then take a left onto MA-16 and continue onto Beach Street. When you arrive, free 4-hour parking can be found along Revere Beach Boulevard and Ocean Avenue. Keep in mind that it’s first come, first served, so if it’s a gorgeous beach day, get there early. If you have no luck there, there are parking lots on Ocean Avenue with varying fees depending on the time of year and any events going on. Another option is to take the city’s public transportation, the MBTA Blue Line to either the Wonderland or Revere Beach stop. These stops will bring you to the southern side of Revere Beach. If you opt for the train, there are MBTA parking lots at nearby stops, including Suffolk Downs, Beachmont, Revere Beach and Wonderland Station. Within the Revere Beach Reservation, you’ll find everything from lifeguard stands and restrooms to athletic fields and a playground. Given Revere Beach’s proximity to the MBTA Blue Line, one of the best nearby activities is to head right into Boston. For example, getting off at the Aquarium stop will land you along the water, where you can walk to the North End or Fort Point neighborhoods, as well as the Faneuil Hall Marketplace.